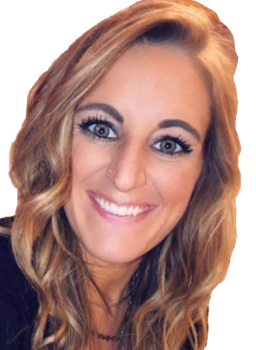 Heather A. Houk, 27, Galveston, passed away Wednesday, April 17, 2019 due to complications from a heart condition that was caused by her battle with addiction. Born May 11, 1991, in Logansport, Indiana, she was the daughter of Kevin Houk and Arlene (Walker) Pyle. Heather attended Caston High School. She was kind and loving to all who knew her and was quick to lend a hand to all who were struggling with the disease of addiction. Her family and friends knew her as a compassionate, caring and free-spirited person with a smile that warmed the heart and lit up a room. Her children were her pride and joy. She is survived by her parents, Kevin Houk and Arlene (Rodney) Pyle; two daughters, Aubrey and Chloe; one son Kameryn; one brother, Nathan (Jennifer Zook) Houk; three sisters, Ericka (Alan) Unger, Monica (Austin Westerman) Houk, Jessica (Dustin) Brew; grandparents, Bonnie (Gene) Seeger and Robert Walker; nieces and nephews, Alexis, Josie, Allyson, Kylie, Serenity, Eli, Emily, Ethan, Braidyn, Connor, Hunter and Alyssa; many aunts, uncles, and cousins. She was preceded in death by her paternal grandparents Ralph and Margo Houk. A Funeral Service celebrating Heather’s life will be held at 4 p.m. Monday, April 22, at Fisher Funeral Chapel with Bruce Russell officiating. Friends will be received from 2 p.m. to 4 p.m. Monday prior to the service in the funeral chapel. Life can change in a blink of an eye. Addiction knows no boundaries, no age, no social class. We must work together to help conquer this demon called addiction. If you can't contribute financially, please help us save lives by sharing Heather's story. It needs to be told. 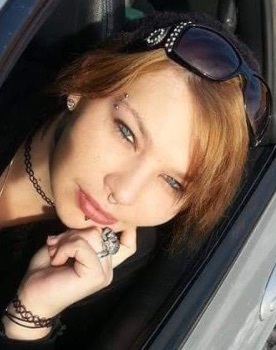 Ashley Jade Lassell, 31, of Ely, Nevada, passed away on Saturday, April 6, 2019. Arrangements are pending at HT May & Son Funeral Home in Columbia. The family is asking for contributions towards a celebration of life for Ashley. Any amount is a blessing to the family. Thank you for assisting us with your donation. All funds donated will be used to assist the Artelt family with funeral costs. 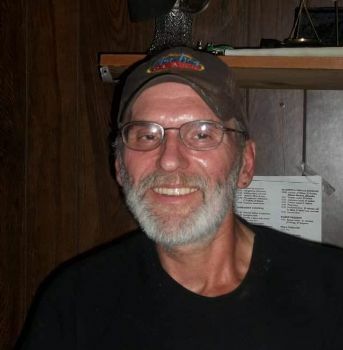 Tommy 'Shaky' Artelt, 57, of California, Missouri passed away Wednesday, March 27, 2019, surrounded by his family, at Capital Region Medical Center Jefferson City, Missouri. He was born on April 28, 1961 in Jefferson City, Missouri to Heinz and Lulia (Parish) Artelt. He lived to junk. Tommy enjoyed ferrets, especially his “Chubberz”. He collected Harley gear, enjoyed anything with 2, 3 or 4 wheels. He enjoyed working, driving and playing with trucks. He loved his children and grandchildren with all of his heart. Tommy was very family and friend orientated and where there was food, you could be sure to find him there. Tommy is survived by two sons, Daniel Artelt and his wife Mary of Lamar and Brian Artelt of Corpus Christi, TX; his daughter April Suggs of Iberia; 8 grandchildren; one brother Johnny Artelt of California; two sisters Carolyn Zarn and her husband Monty of California, and Debbie McCasland and her husband Tim of Ferguson; and several nieces and nephews. Along with his parents Tommy was preceded in death by his Uncle Buel Parish and his Aunt Christine Belt. Memorial services will be held at a later date. Donation to the family may be contributed at https://fundthefuneral.com/tommy-shaky-artelt. Online messages to the family may be added at www.windmillridgefuneralservice.com. Jeanette Ostrander, 69, passed away on Thursday, March 21, 2019, at University of Missouri Hospital. Arrangements are pending. Jenifer Laray Vodron passed away on Sunday, March 24, 2019 from injuries she suffered in a n auto-pedestrian accident. 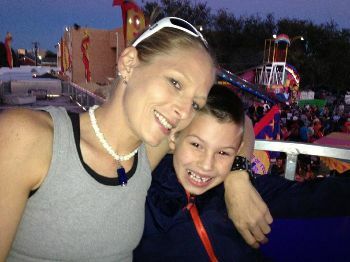 She is survived by her son "Dylan Bob" Vodron; mother, Chris Ann Delong; brother, Dusty Vodron and sister, Tarah Lewis. Her passing was very sudden and unexpected for her family. Funds raised will go toward cremation and a memorial service to remember Jenifer. 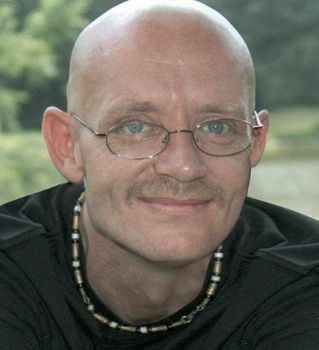 Matthew Stone, age 52, of Flora, Illinois, passed away Wednesday, March 20, 2019, at Deaconess Midtown Hospital in Evansville, Indiana. He was born December 31, 1966, in Mt. Vernon. He married Mackenzie Rain Fulk Brooks March 13, 2008, in a ceremony in Flora. Matt loved Mackenzie and all of his family. Lyric was truly a shining light in his life and said “Papa” was his best friend. He appreciated the great outdoors, especially at night when gazing at the stars and moon accompanied by those he loved. He was eager to discover adventures at the spur of the moment like rafting on the Current River, loved listening to the music of “Journey,” and found great enjoyment in simple things like mowing his yard. Matt had worked as a cook. He is survived by his loving co-pilot in life: Mackenzie Rain Stone of Flora, 7 children: Anthony (Natasha) Stone, Tommy Stone, Ciara (Aaron) Stoker, Brooksy Bray (Tyler), Bailey Bray, Briar Bray (Billy), and Macey Brooks; 10 grandchildren: Hayden, Hope, Wyatt, Skylynn, Helena, Lillian, Lyric, Carter, Sophia, and Bristol; a brother: Jeff (Vanessa) Stone; 2 sisters: Sue Ann, and Angie (Eddie) Martin; parents-in-law: Tom and Gina Brooks; parents-in-law: Dale and Nancy Fulk; grandmother-in-law: Marge Thompson; 2 sisters-in-law: Athena (Tom) Gordon, and Sierra (Chris) Young; many nieces and nephews; and special friend: Mitchell Fields. He was preceded in death by his father; a sister-in-law: Kelli Fulk, and a granddaughter: Lillian Stoker. A Celebration of Life service will be held 7 p.m. Monday, March 25, 2019, at Frank & Bright Funeral Home in Flora. Pastor Bruce Horsley will officiate. Visitation will be 5-7 p.m. Monday evening at the funeral home. In lieu of flowers or gifts memorial donations are suggested to the family to assist with expenses and will be accepted through the funeral home. 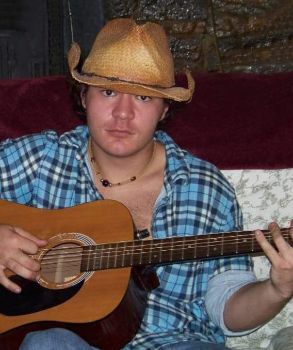 Patrick Wayne Evilsizer, age 26, of Flora, Illinois, passed away Wednesday, March 13, 2019. He was born July 15, 1992, in Centralia, the son of John C. and Sheery A. (Harlow) Evilsizer. Patrick enjoyed fishing and playing the guitar, and he had a big heart for kids as well as people who had a need. He was a loving dad to Haiden and Layna. He is survived by his mother: Sheery Evilsizer (Don Fry) of Flora; son: Haiden Atkisson; daughter: Layna Evilsizer; siblings: Curt Scott of Centralia, Jessie Scott (Joyce) of Mt. Vernon, John Evilsizer of Shorewood, Kristy Simmons of Glen Carbon, Scott Fry of Maryland Heights, Missouri, and Misty Gosda of Decatur; and lots of nieces, nephews, and friends. 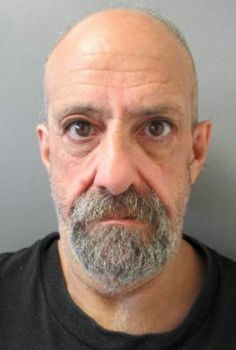 He was preceded in death by his father; grandparents: Fred and Shirley Harlow; nephew: Isaiah Snowden; uncle: Joe Evilsizer; and special friend: Jonnie Atkisson. 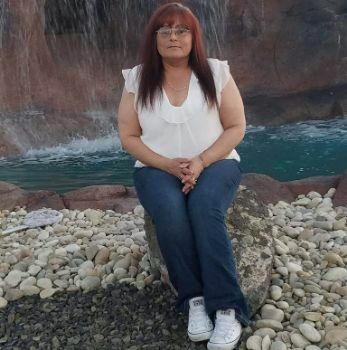 Kelly Janine Eckart, 51, of Twin Falls, died Saturday, March 9, 2019 at home. Kelly was born on July 6, 1967 to Richard and Fae Brown Johnston, one of three girls. Kelly graduated from Kimberly High School. Kelly had two sons, Cody and Matthew Johnston. She worked as a prep cook in restaurants including, the Wok N Grill and Golden Corral. She enjoyed do-it-yourself projects and spending time with her boys. They enjoyed going fishing, swimming, and barbequing. Kelly especially loved having her grandson, Kaleb spend the night. He was her pride and joy. Kelly is survived by her two sisters, Pam Smith and Meichele Koepnick; her sons, Cody and Matt; her grandson, Kaleb; nephews, Don, Clay, and Tim Wiltsie, and Dustin Johnston; aunt, Kay Brown and family; cousins, Lisa Foshee and family, and Steve Brannon and family. She is also survived by her loving pet, Kendra. She was preceded in death by her grandparents and her parents. A Celebration of Life will be held at a later date. Cremation is under the direction of Serenity Funeral Chapel Life Celebration Center and Cremation Services of Idaho, Twin Falls. Condolences may be shared at www.serenityfuneralchapel.com. Please help the family take care of Kelly's final arrangements in their time of grief.